Wood Doors or Fiberglass Doors? Can you tell the difference? Fiberglass Entry Doors have come a long way since the "fake plastic woodgrain look." 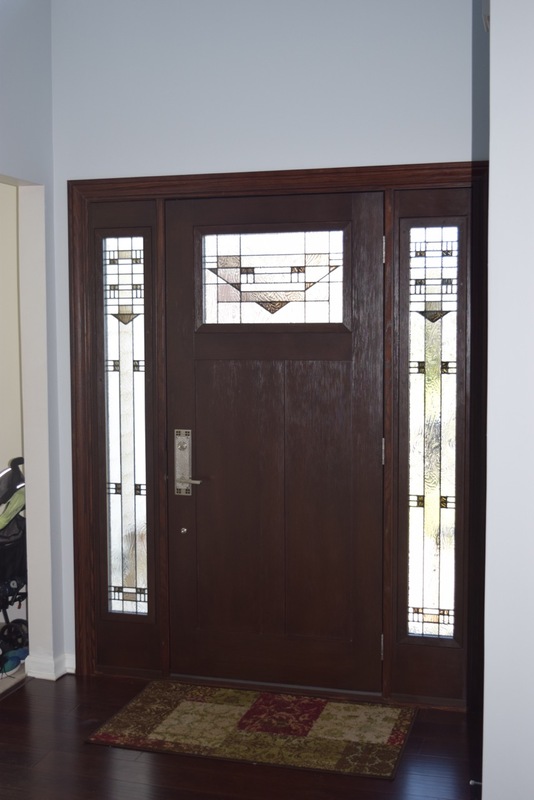 However, when we first mentioned a fiberglass wood grain option, they were a little skeptical because they were familiar with fiberglass doors that looked like "fake plastic." "Not only being able to touch and feel the door, but being able to use them since they were installed, really helped us with our decision. "- Dan L., Noblesville, Indiana. Now that our clients were comfortable with the doors appearance and functionality, we needed to help them decide which design was the best for their home. 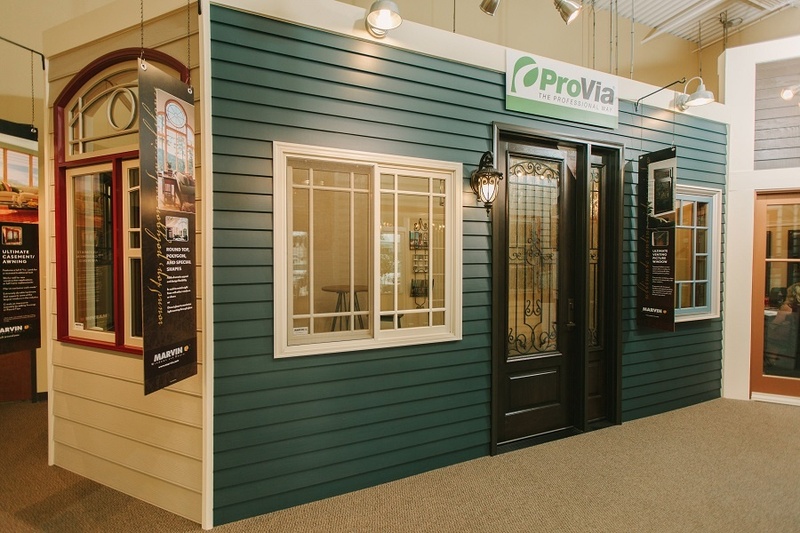 Using Provia's design software, we were able to show them several different styles on their home. 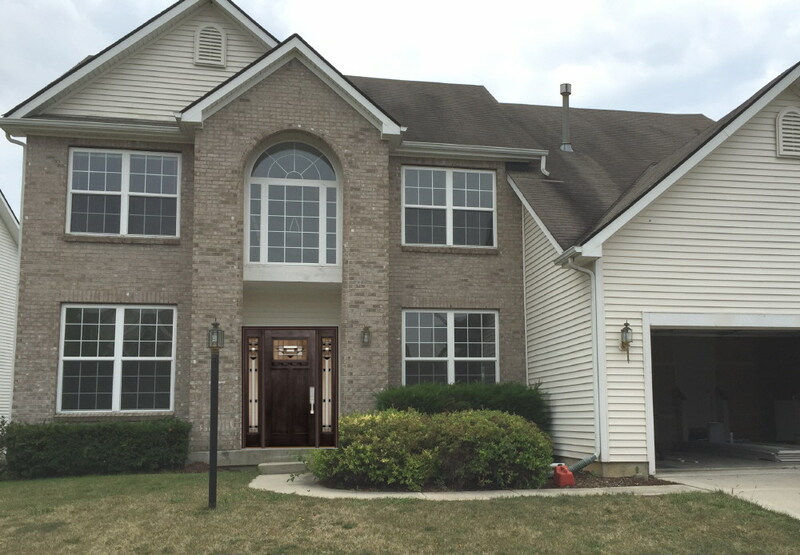 Design Rendering of the Door our Clients Selected- Our clients were able to see their new front door on their home before ever placing the order!!! 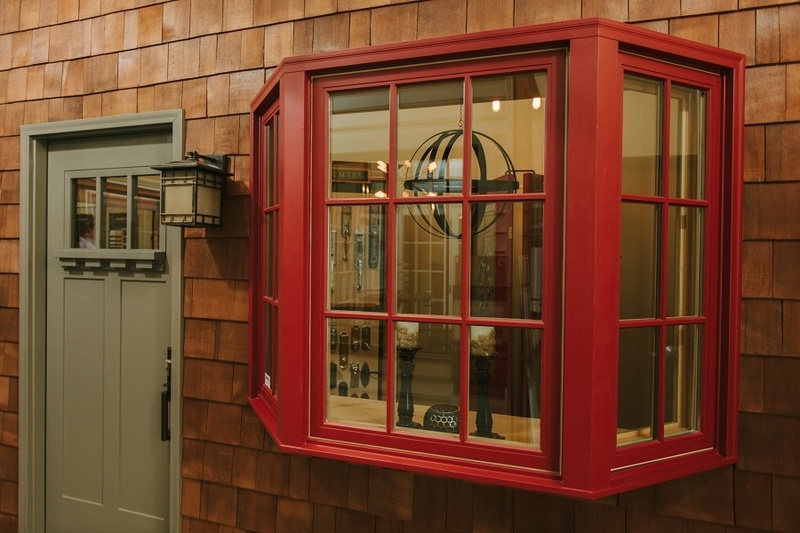 Our clients decided on the Craftsman style door with "Inspirations" hand-painted decorative glass in both the panel and sidelites. They selected the Espresso Stain Color for both the interior and exterior side of the door which complements the Fir Grain of the door. To top off the Craftsman look, they selected an Emtek Entry Door Grip Entrance Set in a Satin Nickel finish. 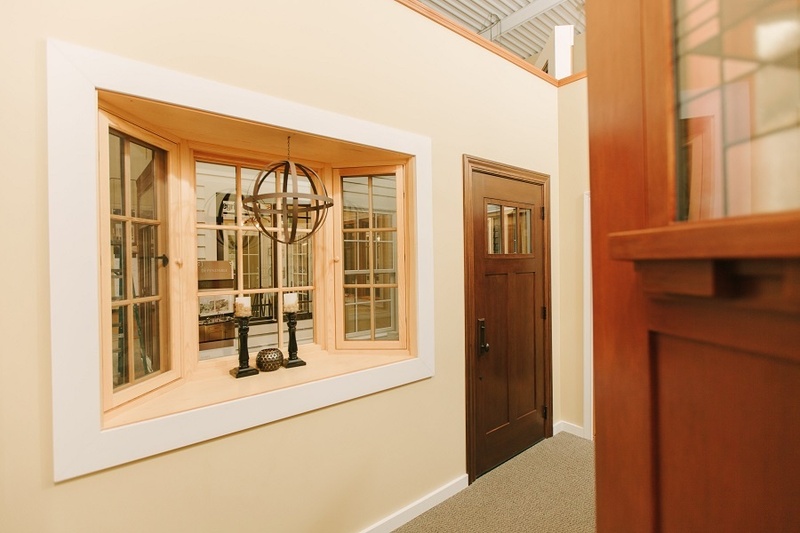 If you are thinking of replacing your current door or are building a new home and cannot decide whether to use a wood or a fiberglass door, here are some considerations to help you in your decision process. Functionality- Quality Fiberglass Doors will provide better functionality due to their stability in the hot and cold temperatures vs. a wood door. Still not sure which is the best option for you. Check out our "All About Front Doors" Free Ebook. This book includes photos, budget tips and even installation information about not only wood and fiberglass doors, but clad and steel too. Our favorite thing to hear from past clients is "Our neighbors cannot believe what a difference our new door made. They cannot wait to do theirs too! "- Dan L., Noblesville, Indiana.